This Is Where Fun Begins! 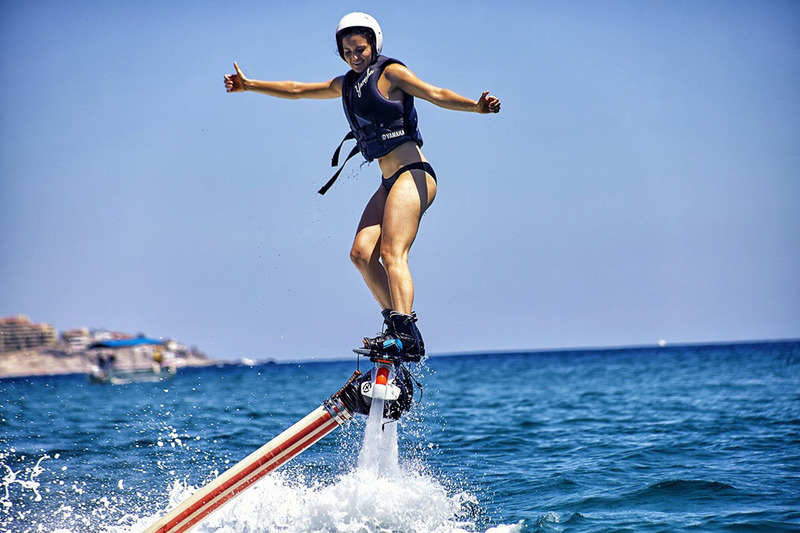 It’s a new water sport, there’s a board under your feet with two strong jet thrusters below that allows you to fly above the water, submerge yourself in it, jump and do all types of pirouettes. Just like its name says, this is a bicycle that is propelled by a jet thruster motor, but you feel like you’re on a bike. It’s even easier to maintain your balance and in the water turn and do all kinds of pirouettes. A new water activity. It’s a propulsion pack located on the back, wich uses a water motor that allows you to fly, submerge yourself in the water and come out again to continue to spinning and flying. 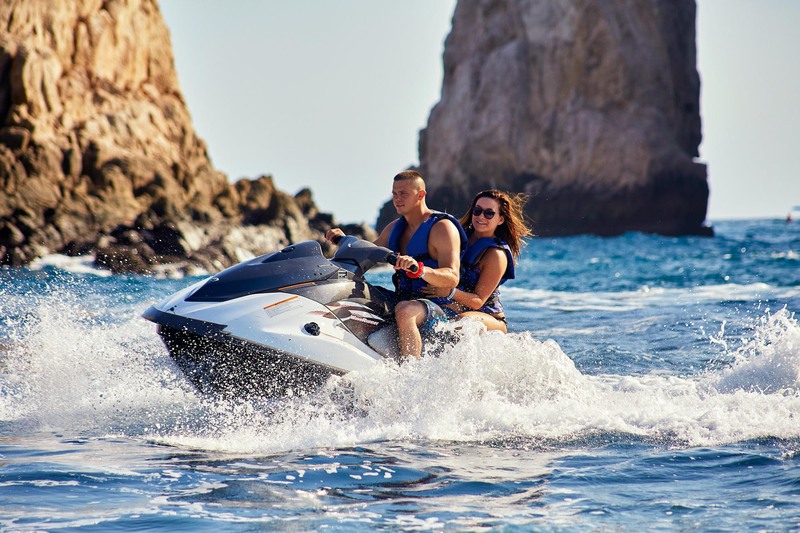 Nothing better to maximize fun while you are vacationing in Los Cabos a Jet Ski ride. The Jet Ski ride in the Cabo San Lucas Bay, allow you to see the natural wonders of the place from a different perspective. We've booked ever activity with Luis from jet skis, flyboard, and rzrs. 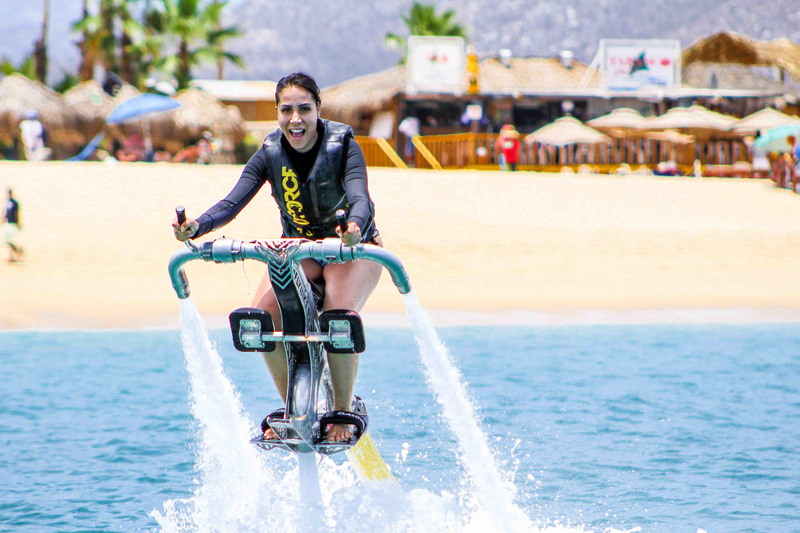 Gives you the best rates in cabo with top notch equipment. Speaks perfect English.. Must do. 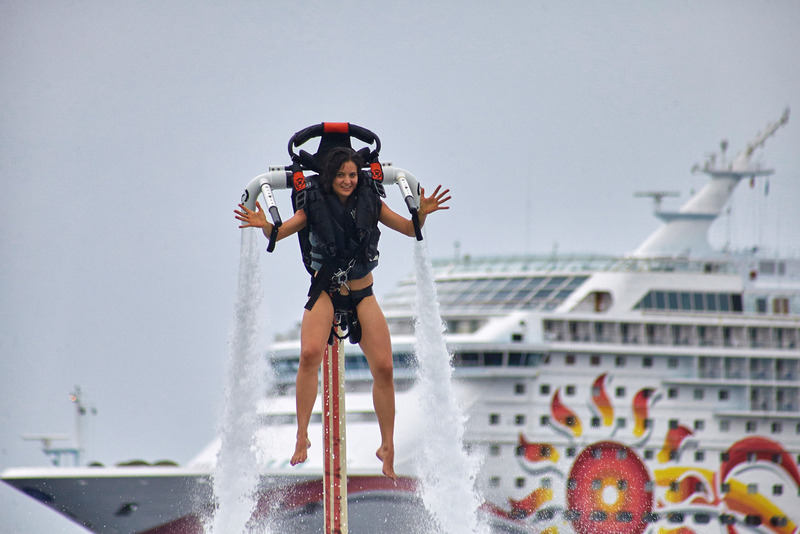 I never thought flyboarding would be on my bucket list till I did it. And it's a bucket list item that is at the TOP! Daniel gave me a super safety briefing and initial "flying" instructions and off we went. As he helped me get more proficient, he kept giving me tips to fly higher, dive better, and get crazy!